Griffith has written five previous novels. She has also written short stories, essays and a memoir. 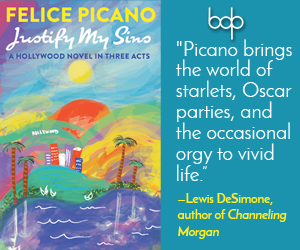 Her work is full of women with gripping lives who have intense sexual and emotional relationships with each other. Her character Aud Torvingen, is the protagonist of three novels in which Griffith’s embodied meditations on grief, trust and communities of support include self-defense classes, cavernous bars, and spiky queer ways of dressing and being, along with subtle observations of city life. Griffith moves easily between genres, from science fiction to noir thriller and back, always with a taut language sense and an elegant, fast-moving story. In Hild, she has written a historical novel of thrilling depth. The book begins and ends with the sound of a bird call changing from “Outward! Outward!” to “Home now! Home!” The bird is a jackdaw, and that specificity matters very much to the story. Hild, daughter of a dead prince and a dangerous mother, learns to watch the natural world and listen carefully to the talk of all around her, whether it be in Anglisc, British, or Irish. There is a glossary that sings with Griffith’s power to bring readers as if lightly into far distant times, where a gesith is an elite warrior, October is Winterfylleth, and undern is the time from nine in the morning to noon. Hild is the niece of a king whose court travels the kingdom because a king and his power must be seen in every region which owes him tribute, so that stewards not be tempted to start taking too much tribute of their own. Hild is constantly crossing worlds: weaving and learning how to make medicine from onion and garlic mash, vinegar and ox horn with the women; riding on war marches with the men; watching the signs of the seasons; finding ways to be right when questioned by the king, with lives at stake and the whole world shifting around her. She is highfolk in a hierarchical world, but her place is uncertain and her life is shaped by women using every means they have to hack out more room for themselves and those they love in which to speak. Here, young women may be formally pledged to each other as gemaecce, which is not a sexual partnership (although these do come) but a powerful alliance with both political implications and emotional weight, making the women partners to weave and take counsel together for life. It’s not only women, though. This is a fully peopled world. Hild, who comes to tuck her hair behind her ears and wear a cloak thrown back from her shoulders like a gesith, grows up play-fighting with sticks with Cian, the son of Onnen, who takes care of Hild and her sister, and is herself the cousin of a king. Soon enough, there is a sword for Cian. Hild’s fate, her wyrd, is closely tied to his, and to that of many people she likes, loves, sways or owns (for there are servants and slaves here) few of whom she fully trusts. Her experiences with war and raids leave her with growing numbers of followers, battle trauma, and knowledge of her own ability and willingness to fight. The king takes counsel from the seers and priests of more than one religion, including an ugly old woman who makes auguries from the flights of birds and even a Christ bishop, come from Rome. The Christian priests can read and write, which means that a message can travel long distances hidden in a paper, without being garbled when it reaches its intended reader. It comes, too, with incredible music. Hild, who has been taught many of the ways of augury is drawn, too, toward the Christians. This is a big book, in every sense of the word. The pages fly by. The great surges of politics, economics and religion fuel and never overcome the tremendous force of the story. The world changes within the book, within Hild, and within the reader lucky enough to fall under its power. 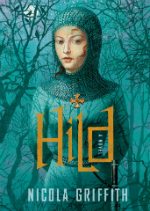 Hild is a pulse-pounding page-turner. It is a rich and inspired work of fiction. It is a book that fills both the urge to be taken away and the urge to be brought closer, to be called, as the jackdaws call, both outward and home. Susan Stinson is the author of four novels, most recently 'Spider in a Tree' from Small Beer Press. 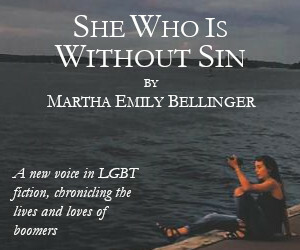 She is a winner of the Outstanding Mid-Career Novelist prize from Lambda Literary Foundation.